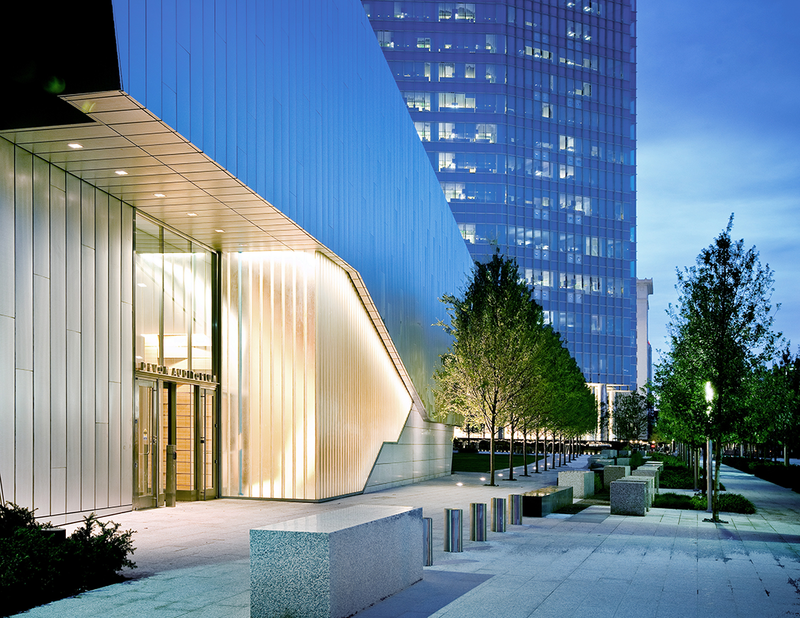 Devon Energy commissioned the design of the Auditorium as a part of its new world headquarters, gracing the neighborhood between Oklahoma City’s business and arts districts with an important civic amenity. 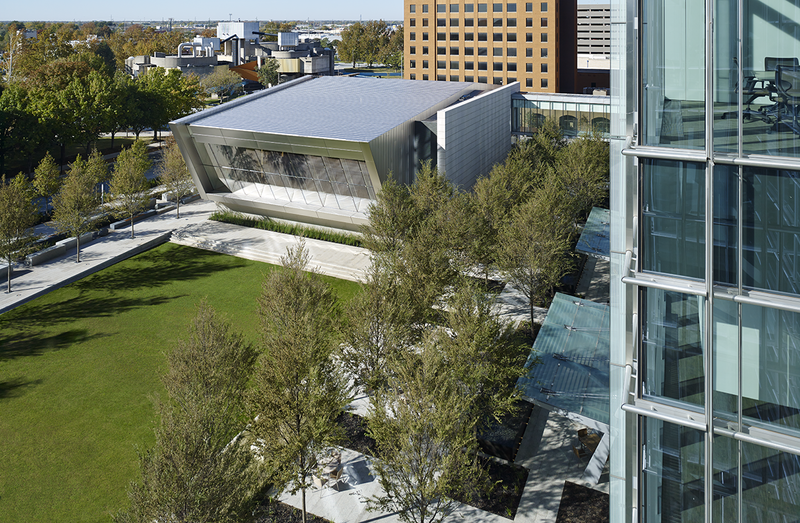 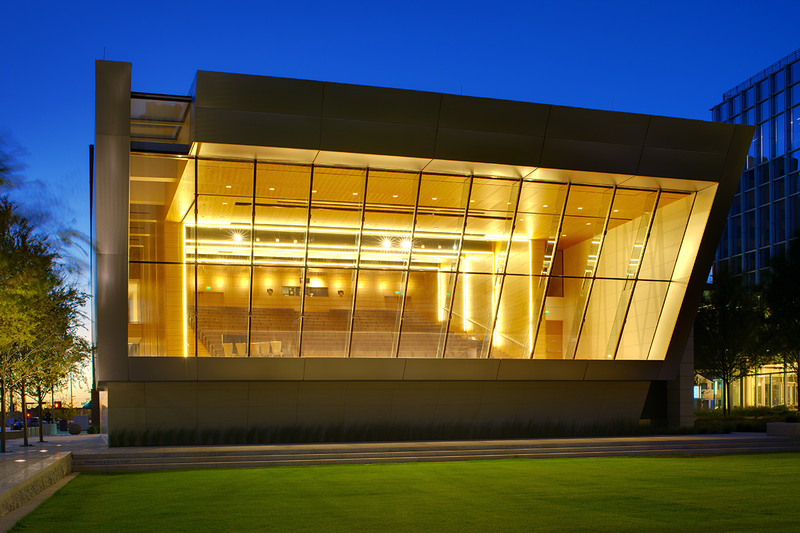 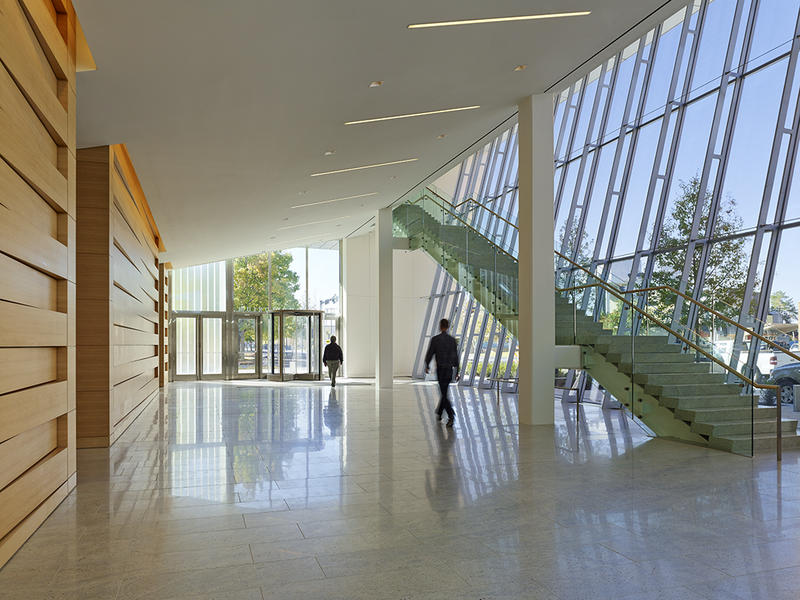 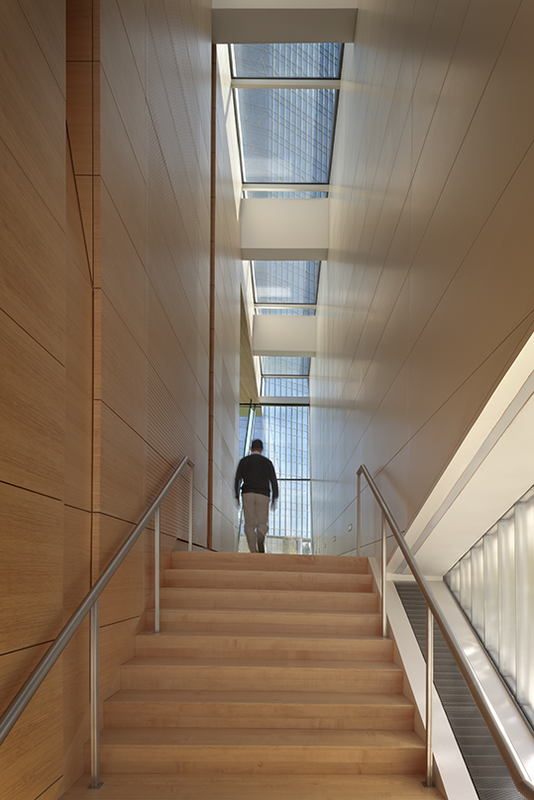 A delicate, glass-enclosed skybridge connects the headquarters to the Auditorium’s second level. 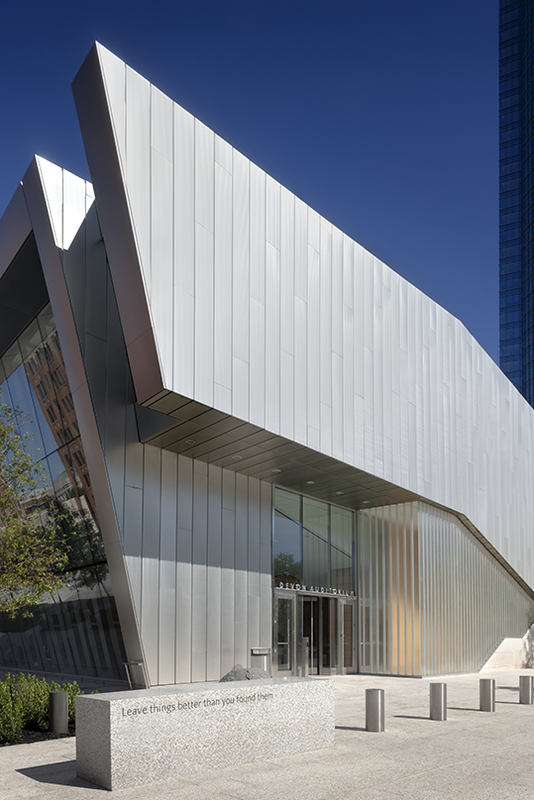 The 300-seat auditorium supports the downtown’s renaissance, offering a venue for both private and public events, with acoustics designed to serve a range of musical performances. 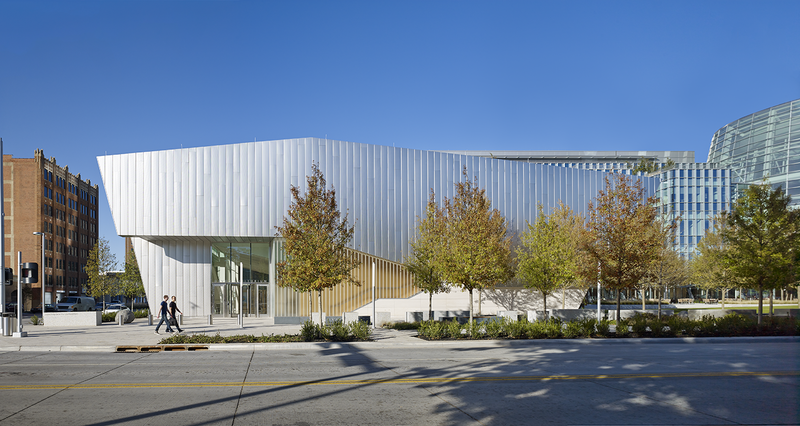 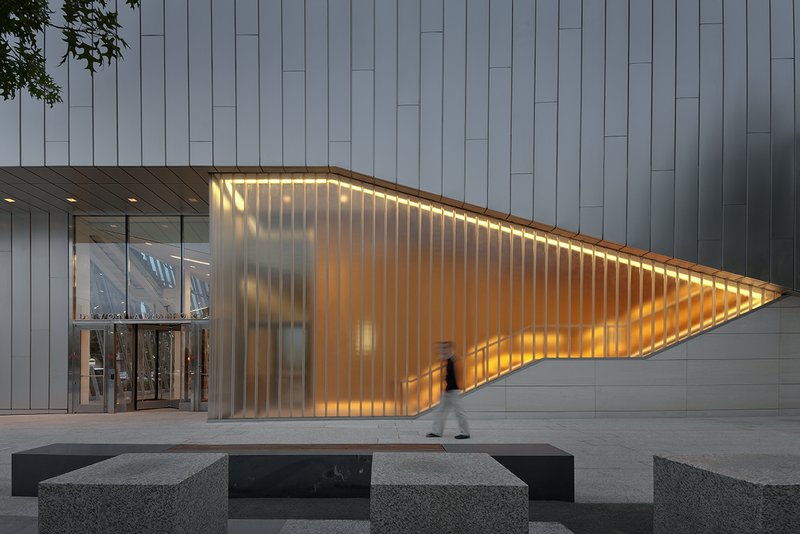 Pickard Chilton created an intimately scaled gathering hall with a transparency that connects interior events to the surrounding neighborhood, making passersby aware of the activity within. 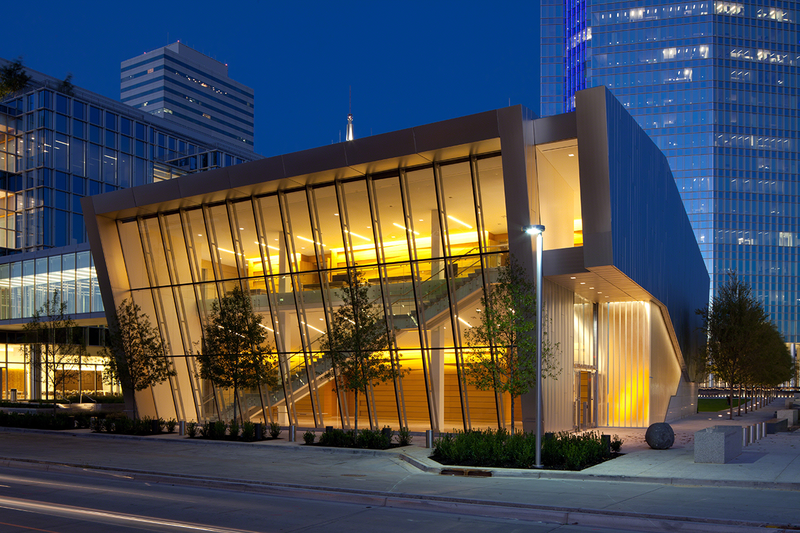 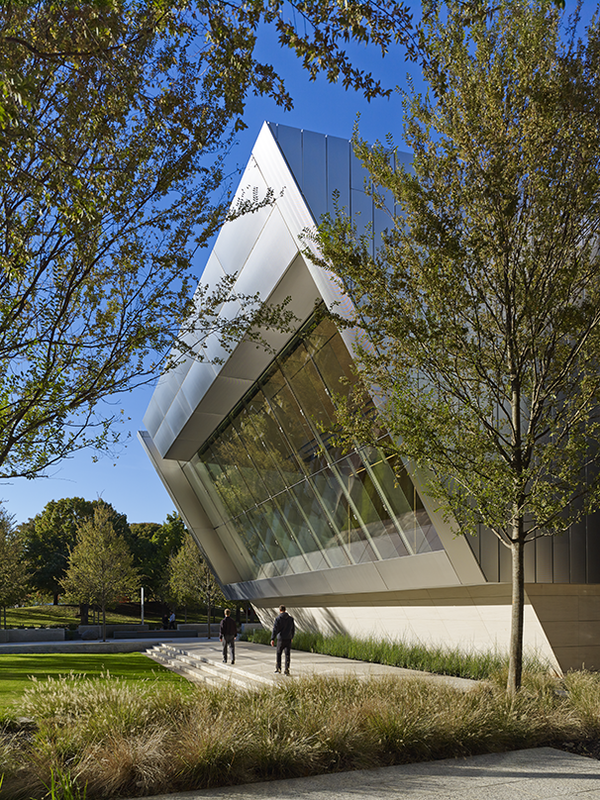 From its position in a landscaped garden, the Auditorium allows dramatic views of downtown and the adjacent city park, Myriad Gardens. 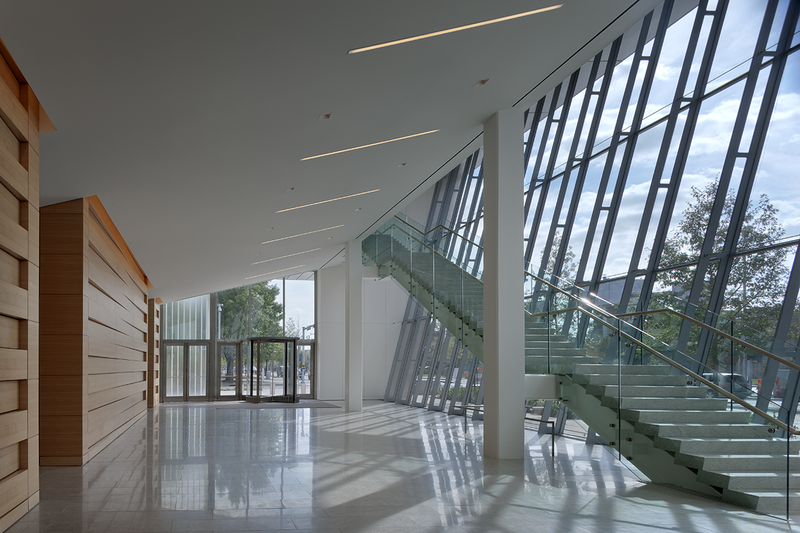 A double-height lobby with a 38-foot angled glass wall projects out toward the street, accentuating the Auditorium’s public profile. 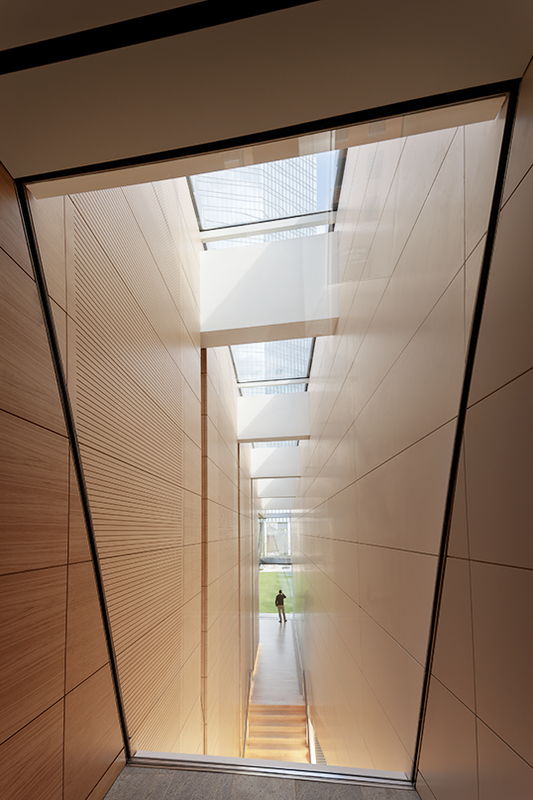 At the entrance, a bank of skylights creates a curtain of daylight above the main stair. 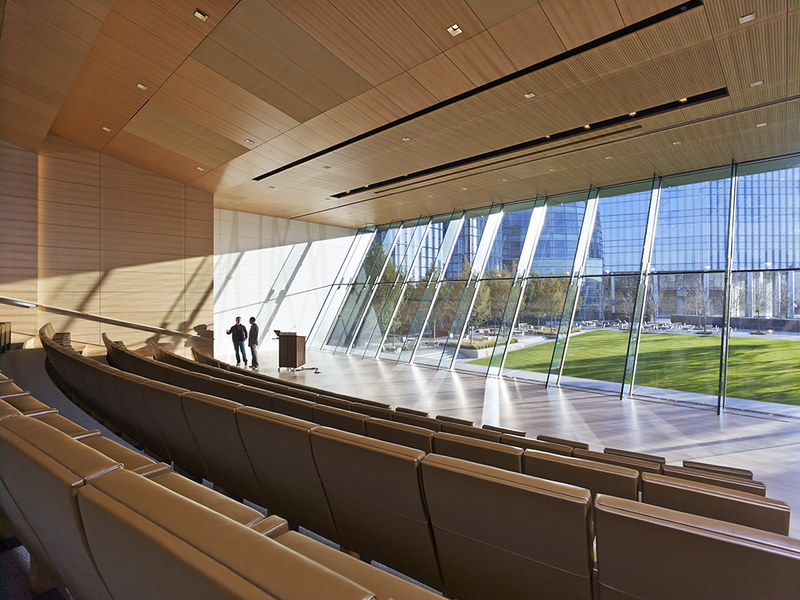 The use of warm woods and soft lighting in the seating area enhances the user’s experience, as does a striking view to the garden.